In this article and video, we’ll examine how you can increase your driver distance in a very real and measurable way on the golf course. 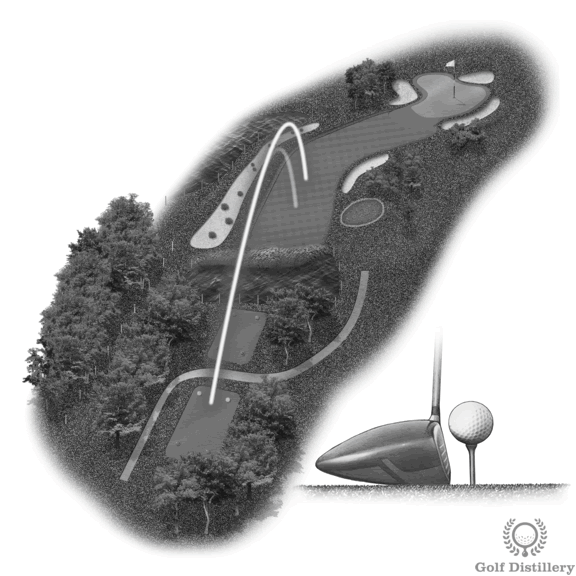 It covers areas such as technique, fitness and custom-fitted clubs. While this page acts as an overview for more distance, you’ll find links to appropriate areas of the site that cover the specifics you need. When your swing is fundamentally sound, you’ll hit the ball further – much further. Most amateur golfers, even low handicappers, have inefficiencies in their set up and swing that is costing them vital yardage every time they play. Factors like poor weight transfer, a swing plane that is too flat or too steep, an incorrect grip, too much hip turn, a soft left side at impact and bad posture (to name a few), all rob you of power and driving distance. 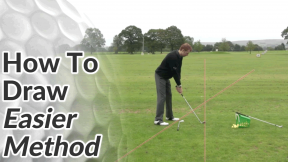 You’ll find lots of definitive checkpoints for different phases of the golf swing that you can measure your own swing against. If you really want to increase your driver distance AND keep your drives straighter than ever, I strongly recommend you focus your attention here first. Take a slightly wider stance than normal for a more stable base and to encourage a bit of extra resistance in the backswing. Tip the right shoulder down a bit more. Place about 60% of your weight on your right side at address (vice versa for the left-handed golfer). You can position the ball slightly further forward (right opposite the big toe) and teed up slightly higher. I wouldn’t encourage this into a head wind however (see this video for maintaining distance in the wind). Encourage a big shoulder rotation in the backswing by making sure the left shoulder comes over and across the right knee cap (vice versa for the left-handed golfer). Make sure there is plenty of resistance in the hips and legs. Don’t let the knees flex or extend too much as you turn back. At the top of the backswing, drive the body weight across by focusing on your belt buckle. Feel as though you are spinning the belt buckle around, like a wheel, as quickly as possible to face your target. This is a very different feeling from starting the downswing with the hands and arms. 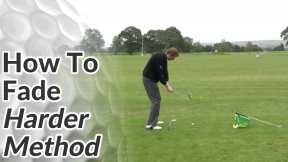 Maintain a good rhythm and timing throughout the swing. Any loss of balance will probably result in a poor strike on the ball – which negates everything else you do! If you suffer from poor flexibility for example, you’ll struggle to make a full shoulder turn during the backswing without compensating elsewhere – like too much hip turn or swaying, both of which result in a big loss of power and inconsistent ball striking. Likewise, with a lack of strength in your core region (lower back, abdominal muscles, hip complex), you’ll find it difficult to control and co-ordinate your body when swinging a golf club with any real speed – particularly a long club like the driver. 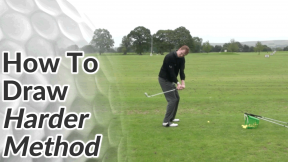 Increase your average swing speed and therefore shot distance with every club. 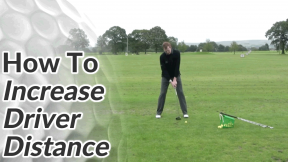 Increase your driver distance by as much as 20-30 yards. 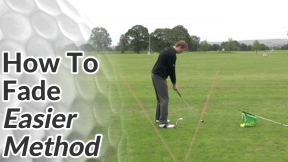 Improve your ball striking accuracy and consistency. A combination of strength and flexibility exercises will have the greatest impact on your driving distance and overall golf game. And, if designed correctly, a fitness regime that improves your golf game will also enhance your overall health, well being and body shape. 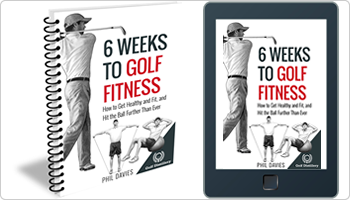 If you you’d like a step-by-step, scientifically-proven home exercise program right away, see our e-book 6 Weeks To Golf Fitness. 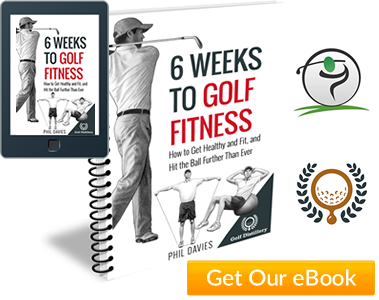 It’s designed for everyday golfers (and a range of fitness levels) who don’t want to give up their life for the gym. But make no mistake – custom fitting won’t compensate for poor technique. In fact, the more inconsistent your ball striking and ball flight is, the less useful club fitting becomes. On average, PGA Tour players increased their average driver distance from 260 yards in 1993, to 280 yards in 2002, to 289 yards in 2007**, which is largely down to technology. But according to Golf Digest, studies by the Royal & Ancient Golf Club at St. Andrews show the typical high handicapper only increased their average driving distance by a yard or two over a similar time frame. In other words, in the absense of good technique, technology has little impact. So, my recommendation is this: improve your technique by mastering the swing fundamentals in this section. It won’t take long before you too become a solid and consistent ball striker, with the physical capacity to out-drive most of your playing partners. By all means, take advantage of custom-fitting services when buying new clubs, but recognise that you probably can’t buy your way to increased driver distance.